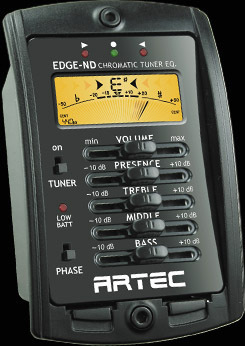 EDGE-ND is high precision meter-type LCD chromatic tuner with 4 band Eq. It also has orange color backlight. So it is easy to read when use dark place. Electrically preamp and tuner circuits have separate power lines, so you can tune the guitar without plug in. EDGE-LT is 'Easy to read' alphabet type LCD chromatic tuner with 4 band Eq. It also has orange color backlight. So it is easy to read when use dark place. Electrically preamp and tuner circuits have separate power lines, so you can tune the guitar without plug in. Jacks STD is suppried with all preamps (except HT), if customes don't indicate any optional jack. DEMO 8 EDGE-TN with 6 str. The JamieRobi band give several concerts a week. The musicans each alone play (or had played) with great musicians such as drummer: Ákos Kottler (Belmondo, Sting forever Band), Domonkos Dely: percussions (Ákos), Gábor Giret: bassist (R-GO, KID, Lilla Vincze, Rapül--k, St. Martin, Pénz, László Tolcsvay, Baba Yaga etc.) and Zoltán Galambos: keyboard player (István Lerch, Mester és Tanítványai, Delhusa Gjon, Zorán, Roy & Ádám, Manhattan, Cotton Club Singers, Elod Császár, Orsi, 4U). The band’s unplugged concert "Wood & Strings" in Millenáris Teatrum 2004. was a greater success. The atmosphere was guaranteed by the audience filling the auditorium, the beautiful stage and the band. 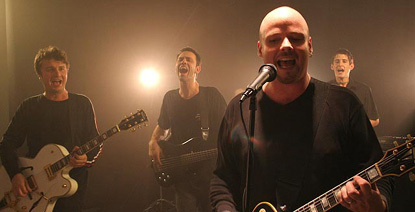 A DVD (directed by Gábor Herendi) was shot with eight cameras and a double disc titled "Wood & Strings" was brought out as well. The JamieRobi started 2008. with their newest, 11th music video, The Trouble You're In, which opened on MTV just recently... looking forward to 2008, and WORLD! YOU're WELCOME TO SEE US!!! 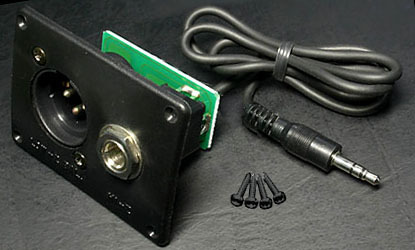 When use XLR cable only, XLR jack can work as powerswitch without dummy jack.